What a bunch of scrap...: New Cards! Hello, today I have three new cards to share, so let's get started. I drew the images for these cards myself, first with pencil, and then traced the images with an ink marker and then erased the pencil lines before coloring them in. 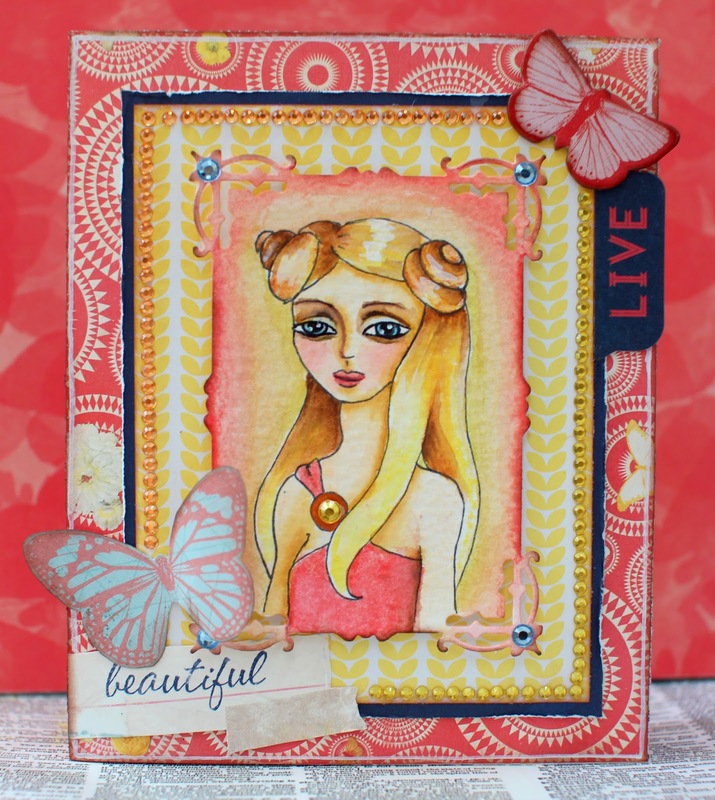 All three of the papers were cut out using the BoBunny "Lattice Frame" die. 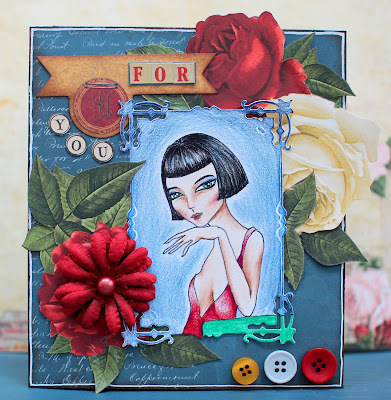 The first card is drawn on smooth Bristol paper, which is perfect for colored pencils. I use Prismacolor pencils. The collection I used was BoBunny's "Juliet" for the papers, die cuts, letter stickers, and buttons. As always, I also decorated the inside of the card. The flower is a BoBunny daisy. The second card is also done on smooth Bristol paper and colored with pencils. 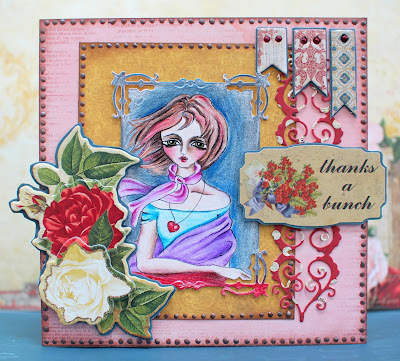 I used the "Juliet" collection for the paper, sentiment sticker, cardstock sticker, and the little banners. The cut out on the side is the BoBunny "Elegant Border" die, and I added little BoBunny pearls to the inside of the banners. I made the little dots around the edge with the chocolate Pearlescents. The third card is done on watercolor paper and colored in with watercolors. Here, I used BoBunny jewels and the "Sweet Life" collection.